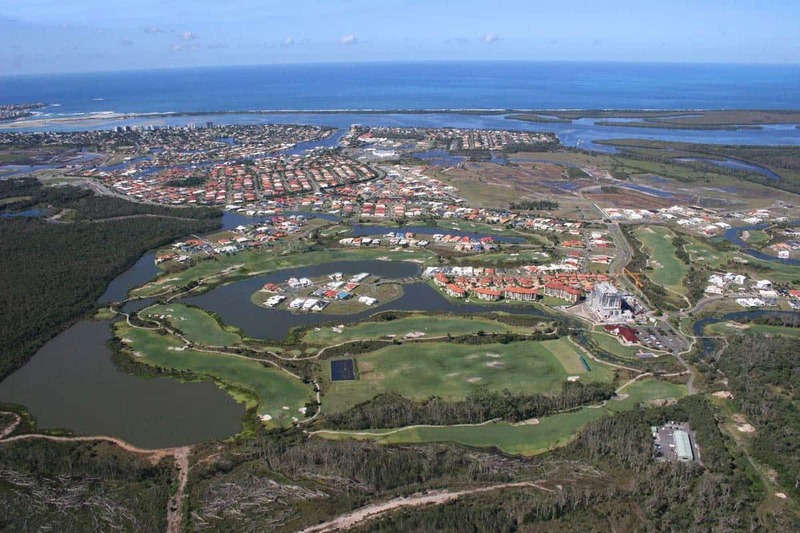 The Pelican Waters golf course is a par 72, 18 hole course which is set over 80 hectares. With a distance of 6289 metres and 66 bunkers, this is a challenging course for both beginners and professional golfers. Famous golf architect Greg Norman has built and designed this beautiful course and this is why this course is considered to be one of the top golf courses in Australia. The course features a lush tee with amazing pars and challenging driving ranges. Amongst this 18-hole course, there are some beautifully maintained fairways, well-spaced bunkers and water hazards. To offer you the ultimate golfing experience, the club has some of the finest practice and training facilities and driving range as well as a fully serviced clubhouse. The on-site restaurant serves breakfast and lunch and serves a range of delicious options from light snacks to hearty meals. The bar is fully licenced, so visitors are welcome to come here after a day of golfing and enjoy a cold drink in their comfortable lounge. Professional tuition is available on site where you can spend some time with a highly qualified professional who will provide coaching to assist you to improve your game. Pelican Waters also offers a junior golf program for young golfers which is a great way for youngsters to be introduced into this challenging game. Pelican Waters also plays host as a popular wedding venue. With a professional and experienced event team on hand, Pelican Waters can assist you to make your day the wedding of your dreams. If you are looking for accommodation near Pelican Waters, click on the link below to find the best deals.